e Colosseum is a large Roman amphitheater, the largest ever built by this civilization. It was used to entertain the city's population by showing gladiatorial battles, hunting wildlife, or executions. It is currently right in the center of Rome, the Italian capital, and one can easily get an idea of what it once was. 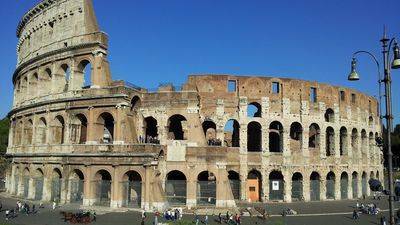 Nowadays the Colosseum is rather damaged, it lacks several important architectural elements such as a large part of the facade or the arena, but curiously this degradation also helps to better understand how it was designed. By falling into ruin, he unveiled the normally inaccessible parts, which in the end is no worse. The Colosseum is located east of the Ancient Roman Forum, in the heart of the old city (and the new one, for that matter). The land was not chosen at random: it was the one on which the emperor Nero had built his villa, making the area exclusively accessible to the rich. When his successor, Emperor Vespasian, came to power he destroyed the palace and razed the area, then he had built the most popular building that can exist in the Roman Empire: An amphitheater. So it is a political message that has passed at that time. 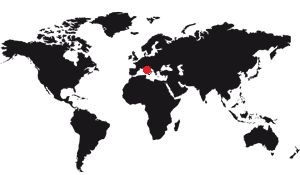 Learn more about the location of the Colosseum. 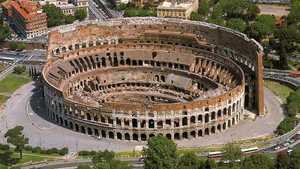 Did you know that the Colosseum, like all Roman amphitheatres, is not round? It is ovoid, with an oval arena. Largest amphitheater in the Roman world, its plan follows the hierarchy imposed by the structure of Roman society, namely that the best seats are reserved for the most important personalities, then each group of rows is assigned to a social class. The weaker the social class to which one belongs, the higher one will be in the amphitheater. Learn more about the Colosseum map. Want to see some photos of the Colosseum? It's normal, it's a beautiful building, and its semi-ruin state allows it to show its internal architecture, whereas if it were complete, we would not see how it is done. The most impressive is probably the imposing facade, but we must recognize that the view of the hypogeum, ie the basement of the arena, is amazing. We see a succession of galleries through which gladiators, wild animals, or slaves who set the scenery elements passed. Learn more about photos of the Colosseum. The Colosseum is the largest amphitheater that the Roman Empire is ever built, it is really impressive. In addition it was not built at the bottom of a valley so as to take advantage of the hollow naturally made by the relief, as was often the case. In Rome, the ground was flat and everything was built by the hand of man. Learn more about dimensions of the Colosseum. Curious to discover some anecdotes about the Colosseum? Follow the link below! Discover the anecdotes about the Colosseum. Sometimes it takes a simple summary to properly apprehend a world famous monument. If this is your case, here you have the main information you need to know about this Roman amphitheater of the first century, the finest example of type of architecture that this ancient Empire was never able to build. Read the resume about the Colosseum.